The Forest of Bowland AONB is of national and international importance because of its unspoiled and richly diverse landscapes, wildlife and heritage, with outstanding heather moorland, blanket bog and rare birds. Thirteen percent of the AONB is designated as a Site of Special Scientific Interest (SSSI) for its habitats and geological features. The extensive heather moorlands of the fells are exceptionally important as a habitat for upland birds and have been designated as a Special Protection Area (SPA) under the European Birds Directive in recognition of this. In partnership with RSPB, Natural England and United Utilities, Lancashire County Councils Countryside Service is playing host to the Bowland Hen Harrier Project at the Bowland Visitor Centre, Beacon Fell. 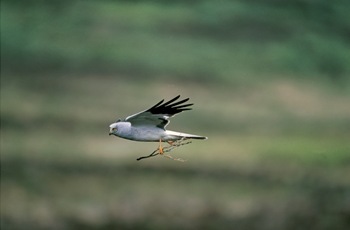 Footage of a Hen Harrier nest in the Bowland Fells can be viewed at the Visitor Centre on Beacon Fell Country Park near Preston. WILDLIFE CALENDAR - discover the different times of year to see Bowland's wildlife at its best! Please act responsibly when visiting the countryside, especially when visiting moorland areas, as inadvertent disturbance of some of these specially protected birds could be detrimental to their well being. 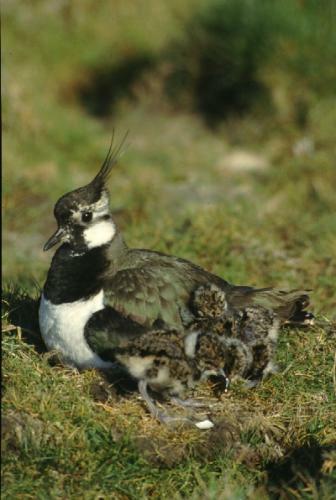 Ground nesting birds are particularly vulnerable and an information leaflet with an attractive bird ID guide has been put together in partnership with English Nature, the RSPB and Lancashire Countryside Service. You can download the Treading Carefully Leaflet (PDF, 1.1mb) (2758) in PDF format. Please follow the birdwatchers code of conduct.